Ms. Schening is a solo practitioner, which means that she does not have the high expense of a large staff. Perhaps more importantly, it means that her clients get to work with her directly and have access to her throughout the process. Ms. Schening speaks fluent conversational Spanish and can communicate with Spanish-speaking clients who also have English as a second language. 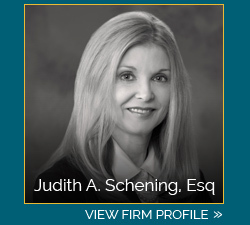 Law Office of Judith A. Schening, LLC is located in South Elgin, IL and serves clients throughout Kane, DuPage, DeKalb and Cook Counties and the surrounding areas.